At Barberian’s Steak House in Toronto, the Canada Prime steaks are butchered and aged in-house . Hungry beef lovers can tuck into a rib steak or prime rib cooked just the way they like it – and that includes Muslim diners, because for the past year the 58-year-old restaurant has catered to customers looking for a halal 24-ounce porterhouse. There were more than a million Muslims in Canada in 2011, according to the National Household Survey, double the number of the 2001 survey. That growing population has meant good things for our culinary landscape, as the cuisine of such countries as Turkey, Lebanon and Iran has become increasingly available. More recently, non-Muslim restaurateurs have begun courting this burgeoning customer base, with even traditional establishments such as Barberian’s adding halal items to their menus. 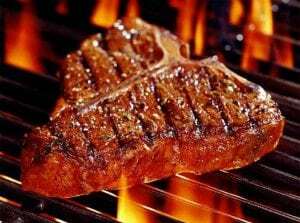 Although halal steaks make up less than 1 per cent of sales at the restaurant – about 10 to 12 steaks a week – Barberian’s is happy to accommodate customers when it can, especially now that halal options are up to the standards people have come to expect from the restaurant. “Halal” means “permissible” in Arabic, and the restrictions cover not just food but things such as finance and travel as well. A halal hotel, for example, does not serve alcohol and has separate pools or spa facilities for men and women. Salima Jivraj, the founder of Toronto’s Halal Food Festival, explains that the list of foods that are not halal is pretty simple: pork, pork byproducts, alcohol and meat that has not been slaughtered in the halal method. More than half of Canadian Muslims live in Ontario, with the majority in the Greater Toronto Area. But restaurants in other parts of Canada are responding to the increasing demand for halal options, too. At the Ruth’s Chris Steak House in downtown Calgary, diners can get a halal meal with 24 hours’ notice. General manager Sabrina Raaymaker says only about 1 per cent of all meat orders are for halal steaks, but she believes that will rise as word spreads through Muslim communities. At least one Canadian restaurateur serves halal meat simply because of its quality, regardless of who’s eating it. When Toronto chef Cory Vitiello was sourcing chicken for his chain of fast-casual restaurants, Flock, the best-tasting meat turned out to be halal. “We chose this chicken based on its quality – the way it tastes, the integrity with which the farmers produce and raise it,” he said. “We chose our chicken before learning it was halal.” While the fried chicken at his Harbord Street location is not halal, all the birds used for Flock’s rotisserie chicken are halal-certified. Still, Jivraj won’t be adding Flock to the Halal Foodie database. The website takes a conservative approach because many devout Muslims may not feel comfortable dining at an establishment that also serves alcohol or pork and where staff may not be trained properly in the preparation of halal food. And Omar Subedar, a spokesman for the Halal Monitoring Authority, said Canada’s largest certification organization wouldn’t certify a restaurant like Barberian’s. “We don’t certify restaurants with a mix of halal and non-halal meat. There are too many variables for us to insure,” Subedar said. “Instead, we focus on 100-per-cent halal restaurants where they are catering to Muslim customers or they themselves are Muslim owners.” That said, HMA has helped mainstream restaurants understand halal requirements by providing guidelines. Bermann recognizes that halal steaks don’t make an entire restaurant halal. “We also do kosher steaks with advance notice, but we can’t accommodate [ultraorthodox] Jewish and Muslim [customers] due to the fact that there is pork on the premises,” the Barberian’s manager said.